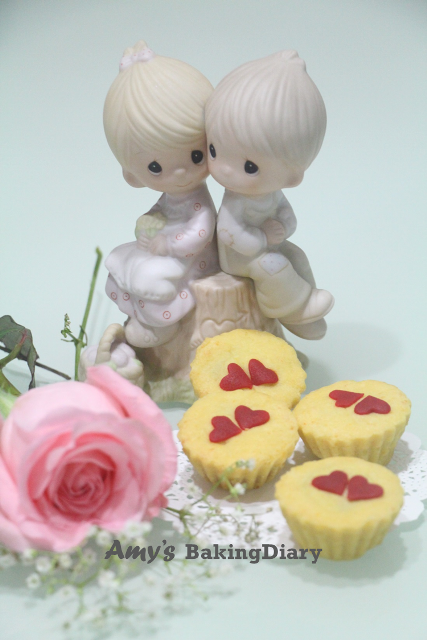 I hope you had a great time celebrating Valentine’s Day with your love ones. Though I didn’t receive bouquet of flowers, I’m very thankful that my Valentine has been showering me with love every moment. 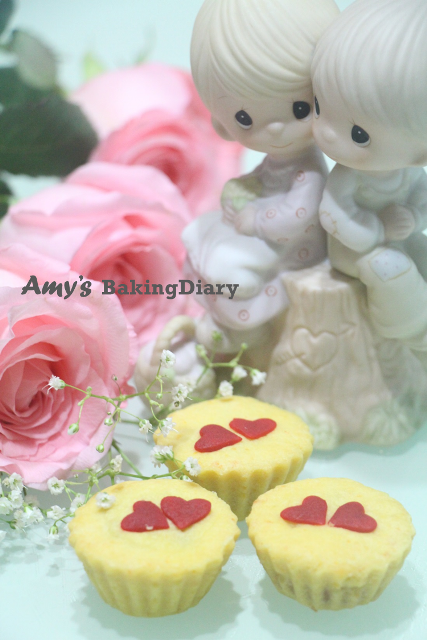 I didn’t bake pineapple tarts purposely for Valentine’s Day. 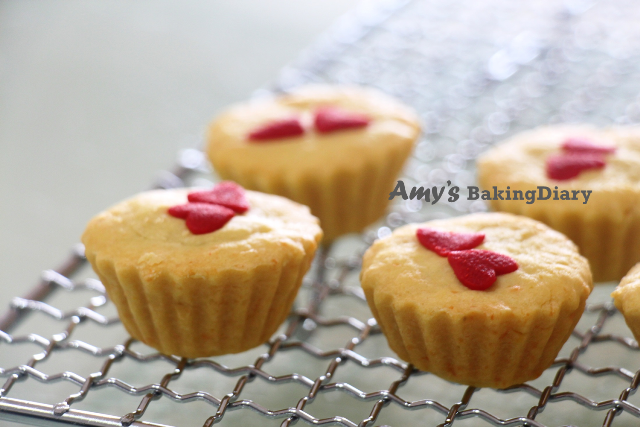 Baking pineapple tarts in the mini egg tarts mold was something which I have been wanted to try it out. 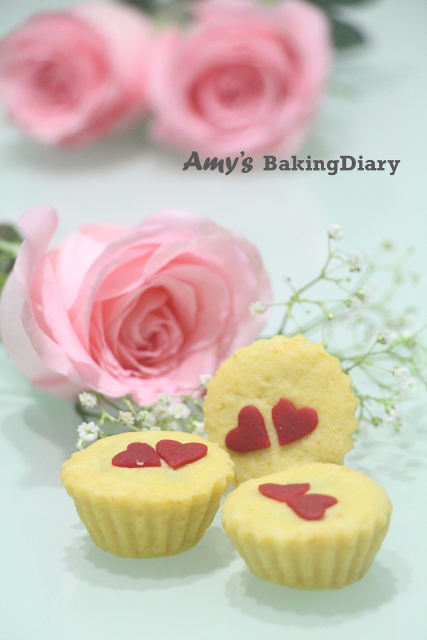 As it was Valentine’s Day so I came out with the idea of decorating it with 2 little hearts made from icing sugar. I was quite pleased with it as turned up to be so pretty. These pineapple tarts don’t melt in the mouth. 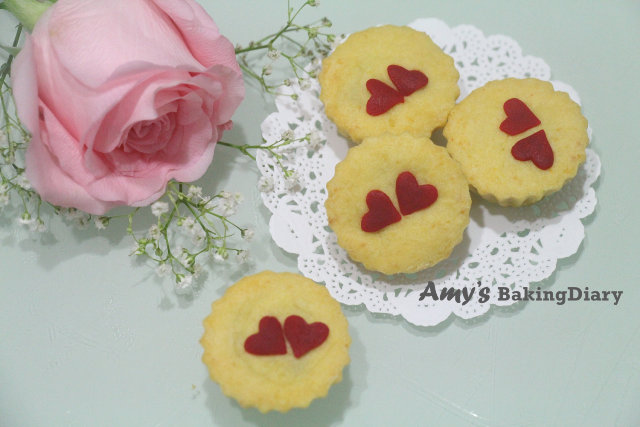 The pastry is soft, buttery and crumbly like shortbread. This texture is much well-liked by my friends and relatives. The highlight of this pastry recipe is using cheese and nestle cream. I was curious and decided to give it a try. So here it is the recipe from Doris, my good friend. Beat butter, nestle cream, sugar and cheddar cheese until it is well mixed then add in egg yolk gradually. Add in flour, corn flour and milk powder and make into dough. Refrigerate for 30mins before use. Shape the dough in your desire design. 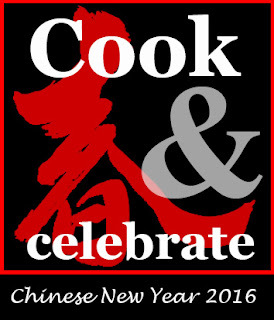 I’m still in time to submit this post for Cook and Celebrate CNY 2016 before CNY is ended. Thanks to Yen(GoodyFoodies) Diana(The Domestic Goddess Wannabe) and Zoe(Bake for Happy Kids) for organising this bake. I fell in love with your lovely pineapple tarts lor !